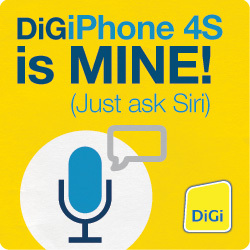 Why do I want the Digi iPhone 4? oh I don't know. I just too desperate to grab it until I have no reason towards the question -,- Lol. - It's has a so long-lasting lifespan. So, I don't have to be worried if the battery being zero when Im outside. - 8 mp? What a clear, nice and fantastic camera. Even the cellphone that I used right now has only 3.2 mp. 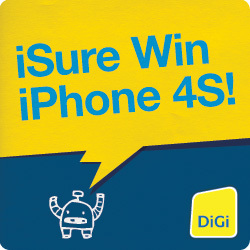 - If only the iPhone 4S suddenly arrive to my doorway, I'll save all the wonderful, amazing and awesome moment safely. In addition, the DSLR will be like mimpi yang tidak tercapai since I've iPhone 4S to be my cool gadget. - Photoshop? Im one of the IT blind since I don't know how to edit pictures. With the help of sophisticated applications in the iPhone, I can edit picture as easy as apple pie and uploaded it to the virtual world. 3 Attractive and Gorgeous Handsfree.